Stress is a feeling you have when you face a situation you think you cannot manage. You can feel anxious, irritable, forgetful, sleepless and unable to cope. There are many different ways to deal with stress, once you understand the causes. A regular daily routine that includes a nutritious diet, exercise and regular sleep also help. Stress is not always a bad thing. People can thrive on stress and even need it to get things done. When the term ‘stress’ is used in a clinical sense, it refers to a situation that causes discomfort and distress for a person and can lead to other mental health problems, such as anxiety and depression. Anxiety is a very treatable condition. Treatments need to be individually decided on and regularly reviewed to make sure they are effective and to minimise side effects of medications. 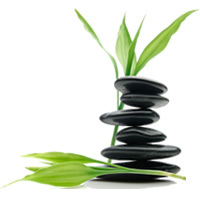 Simply Natural Therapies has a range of practitioners available to help you with your particular issue and journey. Depending on what therapy feels right to you, will depend on who you see. We recommend Hypnotherapy Counselling for stress and anxiety. Hypnotherapy can make powerful changes to your perceptions of stressors. This will be determined by the severity of your stress and anxiety and may be determined between 1 or more therapists. Your therapist will discuss your treatment plan with you so that you achieve optimum results. It may also be suggested that you make some lifestyle changes to support your treatments. Please visit our Hypnotherapy page for more information.